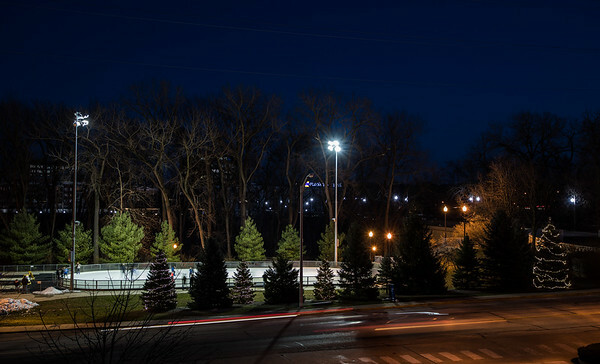 The other night after dinner I walked across the street to the park to watch some of the ice skating going on. 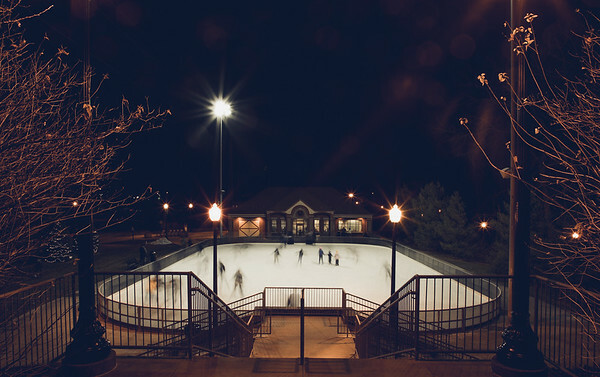 This is a cool little spot in West Lafayette where you can get some ice time. This will do just fine until the Purdue ice hockey rink is built. I wanted to make a photo of the skating without having any identifiable people. I set my shutter speed to one second to accomplish this. Any fast and the people would disappear completely. Any slower and they wouldn’t have as much motion. When making a photo like this it is always a fine line you are walking. It also really depends on what speed the skaters decide to skate at the time. It is a fun way to pass some time waiting for the right composition on the ice. Last week was a light week for me as far as what I can post goes. It was also a milestone week as well. Last week marked five years since I quit my day job to start down this path of photography. I don’t really celebrate the date because that day also was the day that the Sandy Hook shootings happened. No matter what though it was an important day for me. Here are some of my favorite photos from last week. Next Post A Snowy Owl In Indiana?